One day in August, I went to Shanghai Disneyland. I had to stay in Shanghai on the weekend due to work. It was not my first time to visit Shanghai, I didn't have any wish to go. This is the reason. Though my Chinese colleagues keep saying "Disneyland must be crowded because it's summer holiday season!" "Are you sure? It will be crowded there", I decided to go there. Purchased via official web site. Passport number was needed for pre-book. I was asked to show my passport at ticket gate, and I could get my paper ticket there. I had resistance to submit my passport number but it became shortcut from long queue for buying ticket. Downloaded beforehand according to "tdrnavi", my favorite web site. *In August, I could use this apps for just looking at waiting time, but it can be used to make Fast Pass selection now. That's all for preparation. 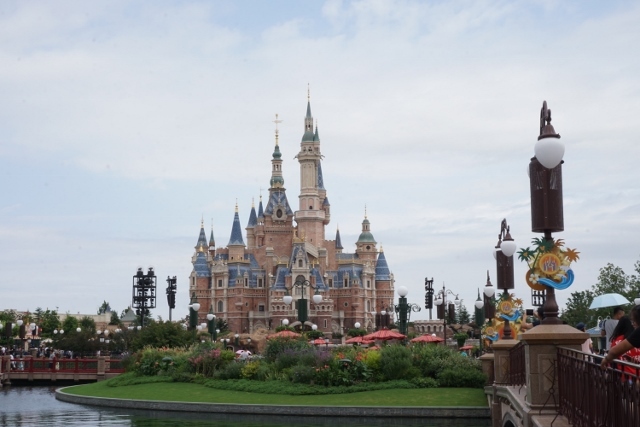 Let's move to my experience in Shanghai Disneyland.